Virginia B. “Nana Ginny” Lippert, 98, of Sandusky, passed away Monday, December 10, 2018 at her daughter’s residence in Sandusky. She was born February 14,1920 to the late Theodore and Minnie (Ruthsatz) Gerold in Sandusky, and she attended Sandusky High School. Virginia was employed at Philco Corporation and OP Craft. Her hobbies included crocheting, playing cards, and watching her great grandkids. 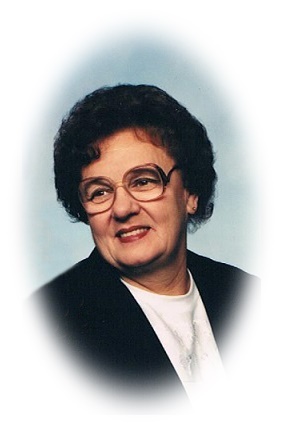 She was a member of Zion Lutheran Church, Sandusky, the Supreme Daughters of Mokanna, Port Clinton Chapter 264 O.E.S., Eagles Lodge Aerie #444, American Legion Post 83 Auxiliary, VFW Post 2529 Auxiliary, AMVETS Post 17 Ladies Auxiliary, and Women of the Moose. She is survived by her daughter, Carol Ann (James) Hamm of Sandusky; one grandson, Brian (Linda) Hamm of Sandusky; two grandsons, Travis and Trevor Hamm, both of Sandusky; nieces, nephews, and other relatives. She was preceded in death by her husband, William H. Lippert in 1993 and her parents. Friends may call from 3:00 PM – 7:00 PM, Thursday, December 13, 2018 at Pfeil Funeral Home, Sandusky Chapel, 617 Columbus Avenue, Sandusky. A funeral service will be held at the funeral home at 12:30 PM on Friday, December 14, 2018. The Rev. Dr. Eric Bodenstab will officiate. Burial will be in Castalia Cemetery. Memorial contributions may be made to Zion Lutheran Church, 503 Columbus Avenue, Sandusky, Ohio 44870 or Stein Hospice Service, Inc., 1200 Sycamore Line, Sandusky, Ohio 44870.